Each year in Europe, 6,000 young people die from cancer, and two-thirds of those who survive suffer from treatment-related side effects. Although there has been considerable progress in the treatment of childhood cancers over the past few decades, and cancer in childhood is rare, these are major problems that need to be overcome, says a report from SIOPE, the European Society for Paediatric Oncology, launched at the 2015 European Cancer Conference today. “The SIOPE Strategic Plan: A European Cancer Plan for Children and Adolescents” sets out the plans of the European Community of Paediatric Haematology Oncology to improve both the cure rate and the quality of life for survivors of childhood cancers over the forthcoming ten years, with the ultimate aim of increasing disease-free and late-effect free survival. Cancer is still the first cause of death by disease in children aged one year and over in Europe, and more than 300,000 European citizens are paediatric cancer survivors. In addition to the side effects of treatment, five years after diagnosis these survivors still have a risk of death that is higher than that of the general population. The report, drawn up after widespread consultation, including discussions with parents, patients and survivors, sets out existing problems and proposes solutions to tackle them. It formed part of the EU 7th Framework Programme project ‘European Network for Cancer Research in Children and Adolescents’ (ENCCA). Among these problems are poor access to new drugs for child patients; lack of funding; disparities across Europe in access to treatment and hence survival; and the fact that paediatric oncology was relatively isolated from the adult oncology community. However, says the report, there is a worrying tendency for politicians to think that the 80% cure rate seen in paediatric cancer means that it is not a major issue and that therefore efforts should only be concentrated on cancer prevention in adults and on transforming cancer into a chronic disease in an ageing population. In order to try to move this situation forward, the report sets out a number of goals, and lists the key factors that will be necessary in order to achieve them. These include a commitment of all funding bodies to finance projects and structures of relevance to paediatric oncology; a strong partnership with patients, parents, and survivors, including better communication and dissemination of information; better collaboration with adult oncology; and intelligent and transparent partnerships with industry. “One of the most important objectives focuses on increasing our knowledge of the biology of paediatric tumours,” says Professor Martin Schrappe, from the University of Kiel, Germany, and SIOPE President-Elect. “Cancers in adults result from a multi-step process, usually after exposure to external carcinogens such as tobacco, alcohol, and diet, and often progress over many years. Paediatric malignancies develop early in life and over a much shorter time period; this suggests that fewer and stronger events are required for them to progress. Compared with adult cancers, most of them show fewer genetic defects and have a lower genetic complexity. In order to do this effectively and fairly, says the report, interactions need to be strengthened at several levels – between networks of basic research teams, between basic scientists and clinical researchers, and by increasing the involvement of patients and parents in the search for personalised medicines. SIOPE will monitor progress through research into outcomes. Another important issue for SIOPE is improving the quality of life for survivors. “We believe that in 2020, there will be nearly half a million European paediatric cancer survivors, and many of them will have side effects that are severe enough to affect their daily lives. While the fact that so many survive is a cause for rejoicing, we have a duty to provide them with optimal long-term care so that the rest of their lives may be as normal as possible. One way of doing this would be the creation of a ‘survivorship passport’ for each child and adolescent cured of a cancer. This would contain a history of their disease and treatment together with relevant follow-up measures aimed at improving their quality of life, and a database for storing the clinical data and hence facilitate monitoring and research,” says Prof Schrappe. 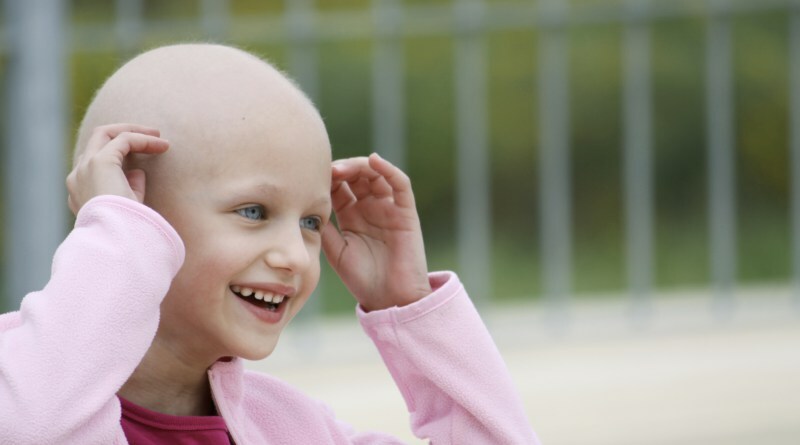 “Why does my child have cancer,” is a frequently asked but equally frequently unanswered question. Because so little is known about the causes of childhood cancers, this is hardly surprising, says the report. What is needed is to increase the understanding of a predisposition to cancer in children by using whole genome sequencing, and addressing questions on the possible environmental causes of such cancers through evidence-based studies.